Recently, I purchased Candy Corn. A candy I fully admit to hating. I thought I could implement it into our math lessons during Homeschool in October. But really, it's just a big bag of distraction. I don't know why I thought we could count Candy Corn without wanting to eat it all. So I put it up until I could decide what to do with it all. Each fall/winter, as the temperature begins to drop, my girls begin requesting cocoa in the mornings. So as a way of using up the Candy Corn, we began making Candy Corn Cocoa. 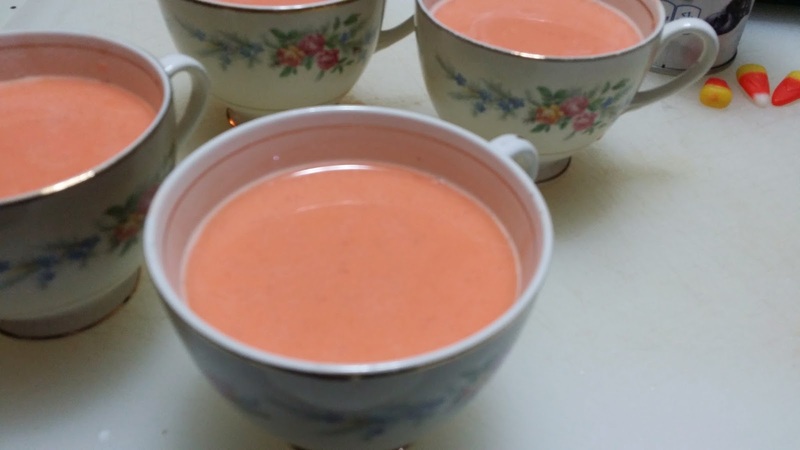 It's easy and actually tastes good (like an Orange Creamsicle). 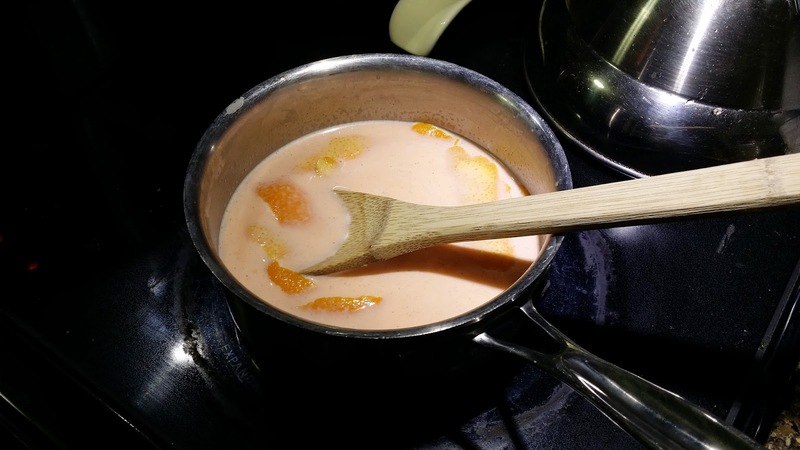 In a saucepan, combine the milk, chocolate chips, candy corn, orange peel, extract, and salt. Cook over medium heat, stirring, until the chocolate and candy corn has melted and the mixture is smooth. Strain out the orange peel and pour into cups. 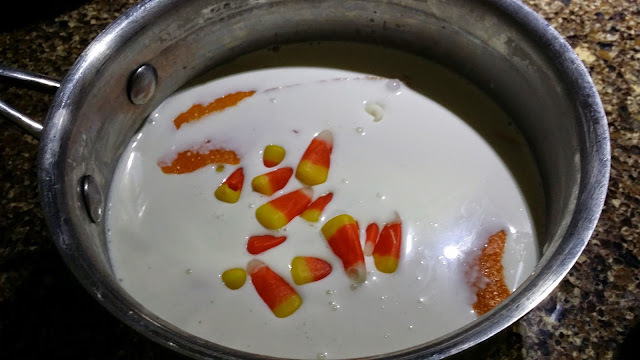 Garnish with whipped cream and a Candy Corn. My concern would be the amount of sugar this has compared to hot chocolate. How much sugar does the amount of candy corn in a cup of the drink have? 1/4 cup of candy corn is one serving and has 28g of sugar. 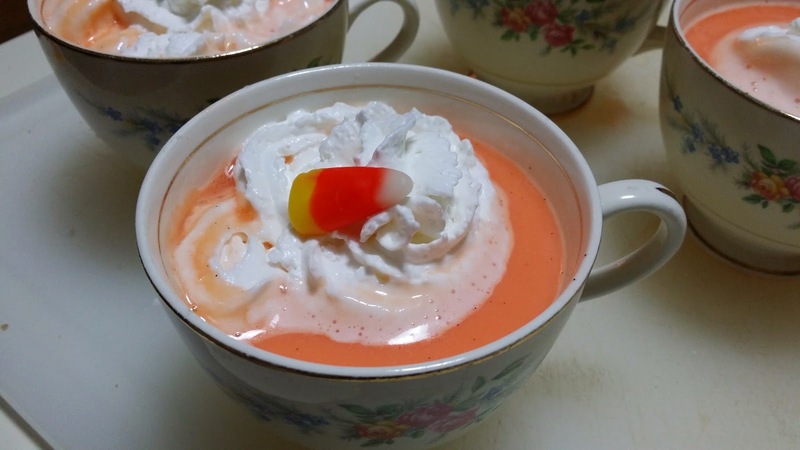 This recipe takes that serving and divides it amongst 4 cups, so 7g of sugar per cup from the candy corn.